This article is 1977 days old. Windsor Regional Hospital and Hôtel-Dieu Grace Healthcare Boards have unanimously approved a Stage 1A report that is the first step in moving forward with a plan for a new state-of-the-art acute care hospital. This report will form the preliminary foundation for the hospital’s long-range capital plan. It outlines how services will be delivered in the future and gives preliminary operating costs, staffing and bed requirements. These numbers will be subject to change and refinement as the hospital and community proceed through the various stages of the capital planning process. The creation of this report involved over 150 medical leaders from both the hospital and community agencies, and officials say that it’s not just about building a hospital though; it’s an entirely new way of providing health care throughout the system, inside and outside of hospital walls. State-of-the-art acute care hospital – Current hospitals are outdated, undersized and unable to accommodate current patient volumes. A new hospital will have the capacity to expand to meet the community’s needs well into the future. Improved infection control – Eighty percent of rooms in new Ontario hospitals must be for single patients to limit the spread of infections. Right now only 29% of rooms at the Met Campus and 16% of rooms at the Ouellette Campus are private. More efficient health care delivery – The report lists a number of initiatives to help reduce operating pressures on the hospital. With the direct support of community health care providers and under the direction of the LHIN, some services and procedures will move into the community – closer to users – offering a better patient experience by providing the right care, in the right location, by the right provider. New education and research hub – The current facilities do not support the needs of the Schulich Medical School. Focusing on clinical research, a new hospital can strengthen the research and scholarship culture and put Windsor-Essex in a better position to recruit and retain top physicians, front line staff and medical leaders. 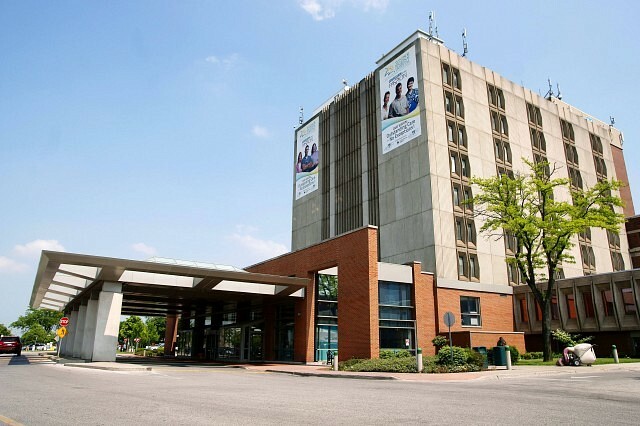 The next step will be the approval from both the Erie St. Clair LHIN and the Ministry of Health and Long-Term Care before they can move on to the next stages in the project. The LHIN is expected to consider the report at its next board meeting on November 26th. The size, location and capital cost for the new hospital were not covered in this stage of the planning; they are all part of the next phase. All hospital healthcare staff and the larger health-care community along with the users will have opportunities to participate in focus groups and discussions before the final plans are completed.